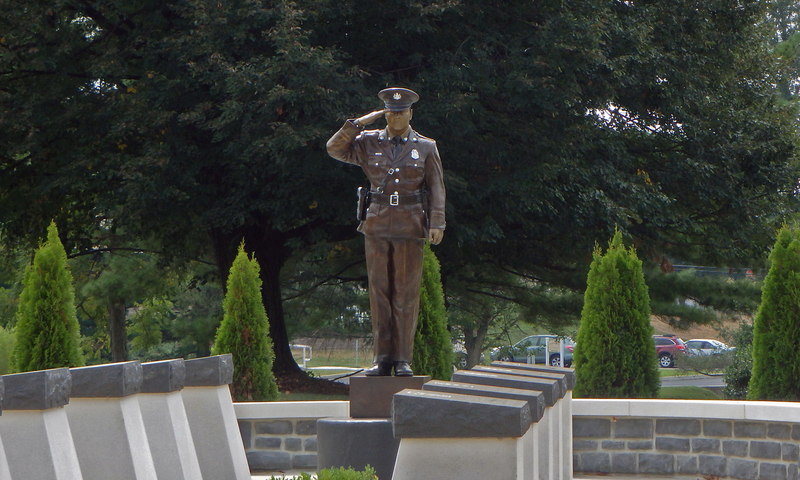 2012 was the year that witnessed the Foundation moving dramatically forward to make the Cumberland County Law Enforcement Memorial a reality. In January a meeting was held with the Cumberland County Board of Commissioners to seek dedication of land for the Memorial. The Cumberland County Chiefs of Police Association agreed to donate $5,000 to the foundation. In February Jack Cole, Chair of the Willis Cole Memorial Golf Tournament, agreed to provide all proceeds to the Foundation. Our web site, CCLEMF.com, was up and running. It was agreed the Annual Police Dinner will become a function of the Foundation. In May Foundation letter head was approved and printed and the webpage was updated with photos and bios. In June a Cumberland County Law Enforcement Honor Guard were discussed. In September County Commissioners dedicated approximately ¼ acre on land on the corner of the Public Safety Center Property to be used as the location for the Memorial. A media event was held at the site. All 3 county Commissioners attended and spoke. Approximately 35 law enforcement officers from the county attended in uniform with Department vehicles. Also attending were surviving families of Willis Cole, Paul Walters and Rich Phelps. At this dedication checks were presented to the foundation: One from the Turo Foundation and one from the Willis Cole Memorial Golf Tournament, each in the amount of $5,000. The Cumberland County Chiefs Association presented a check in the amount of $6,400. This brought total funds to over $16,000. This dedication of the land was a huge success and well covered by the media outlets. Gannett Flemming Engineering has undertaken the Memorial site design pro bono. In October Steve Spangler, retired Hampden Township Police Officer, offered to do research on the fallen Officers. Steve was appointed as the Historian for CCLEMF. Steve provided his initial background report on Officer Homer Gilbert of Mechanicsburg who died while on duty in 1943. Sam Morgan, retired Lower Allen Police Officer expressed interest in assisting with fund raising. Sam’s enthusiasm earned him the appointment as Chairman of the Fund Raising Committee. In November Brian Shifflett, Landscape Architect for Gannett Flemming Engineering, presented three design concepts for the Memorial. All three were well received by the Foundation Board. After review and discussion, a final plan was presented. In December John W. Gleim Jr. owner of John W. Gleim, Jr Inc. Excavation of Carlisle agreed to be the Honorary Fund Raising Chairman for the Foundation. Draft of promotional pamphlets were drawn up and reviewed by the Board. The Foundation acquired the dedication of approximately ¼ acre of land from the County on which it will build the Memorial. Gannett Flemming Engineering agreed to do the design work pro bono and presented the Foundation with preliminary drawings. Steve Spangler was appointed as Memorial Historian. Sam Morgan was appointed Chairman of the Funding Raising Committee. John W. Gleim, Jr of John W. Gleim, Jr Inc Excavation agreed to be our Honorary Fund Raising Chairman and to assist in the construction. The Foundation looks forward to 2013 when it will finalize the site design, print the promotional materials and move forward with our Fund Raising Efforts.